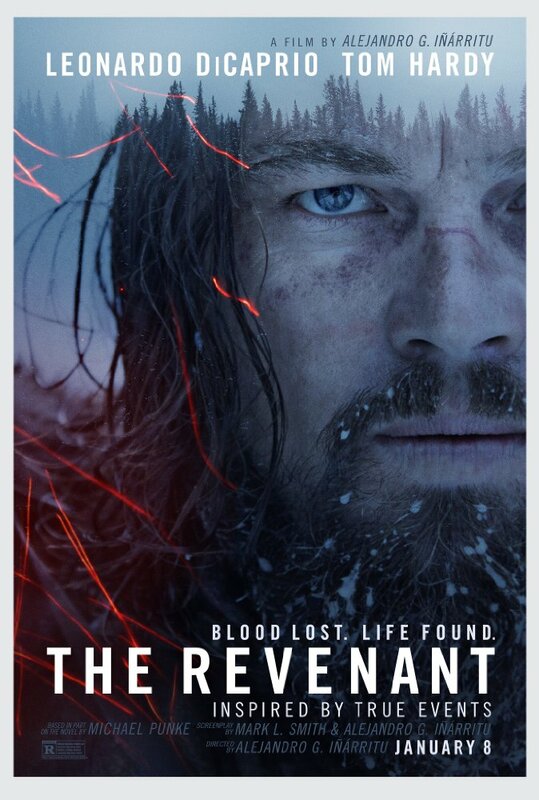 The Revenant, starring Leonardo DiCaprio and Tom Hardy, directed by Alejandro G. Iñárritu, premiered on HBO tonight and I got a chance to check it out. Other cast includes Domhnall Gleeson, Will Poulter, Forrest Goodluck, Paul Anderson and more. To be honest, there are two ways to tell a tale of brutal experience of survival and revenge. The short 90-min version which pumps out a minimal film in the hopes of making just enough money. Or, you can do it right, expound on many aspects of the story that tells a story within a story, and make it a rather engaging film experience. And it is indeed, an engaging film experience, that's for sure. 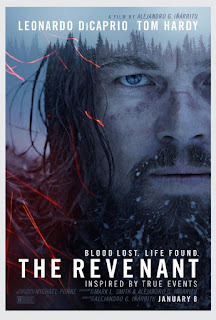 The Revenant is set in 1820s America, where fur trapper and Frontiersman Hugh Glass (DiCaprio) struggles to survive the harsh winter after an Indian attack and then getting mauled by a bear, then double crossed by a fellow trapper named Fitzgerald (Hardy). Glass struggles to survive with the the driven need for revenge on Fitzgerald. But does he make it or does another faction of life, other trappers, more Indians or even another bear stop him from getting to his goal? To be honest, this film has some fantastic vistas, wonderfully realistic scenes and moments, and the biggest piece about this film was the fact that if I did not know that Tom Hardy was in the film, I would never have recognized him. To me, Hardy nearly stole the film in his unique delivery of his role of Fitzgerald. The bear attack was done so well, that it was traumatizing. Not overdone, but just enough, just like, what I imagine, could occur with a grizzly bear attack. But DiCaprio's struggle to survive his wounds and then his travels to get back to the outpost that his team of fur trappers came from is quite the story, peppered with flashbacks of his tragic past, his present struggles, and his internal goals. It's a bit gory but the film is easy to get caught up in. The visuals are stunning and the story, if you're paying attention, will keep you busy for the few hours that you watch it. IMDb users gave it an 8.1/10.